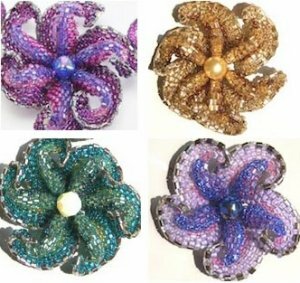 Description: Using a variation of flat peyote, students will add dimension to their skills while making a pendant or brooch that's a beautiful flower with three-dimensional petals. Add twisting, curling chains to accent the brooch or to create a chain for a necklace. 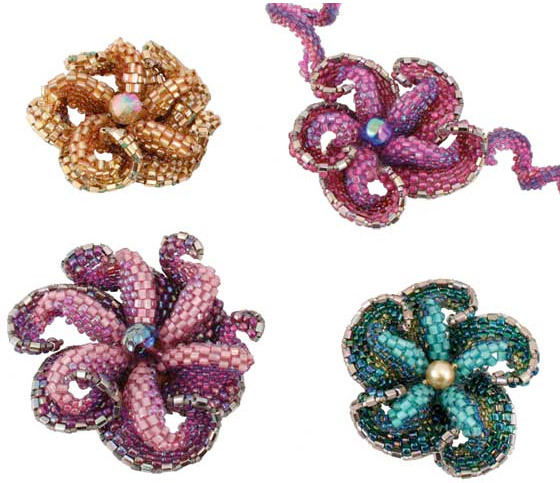 You may also purchase a kit with all the beads needed to complete two flowers.